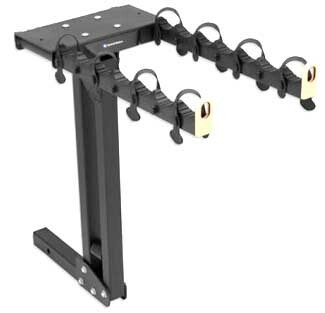 This Hitch-Mounted Bicycle Carrier holds up to four bikes and easily fits to your Colorado`s hitch. A hand-operated tilt-down lever allows access to the truck bed without removing the carrier. Requires 2 inch trailer hitch and License Plate Holder P/N 12495709.